Leave the bustle of London’s ‘theatreland’ behind you for the buzz and charm of the Middle East! 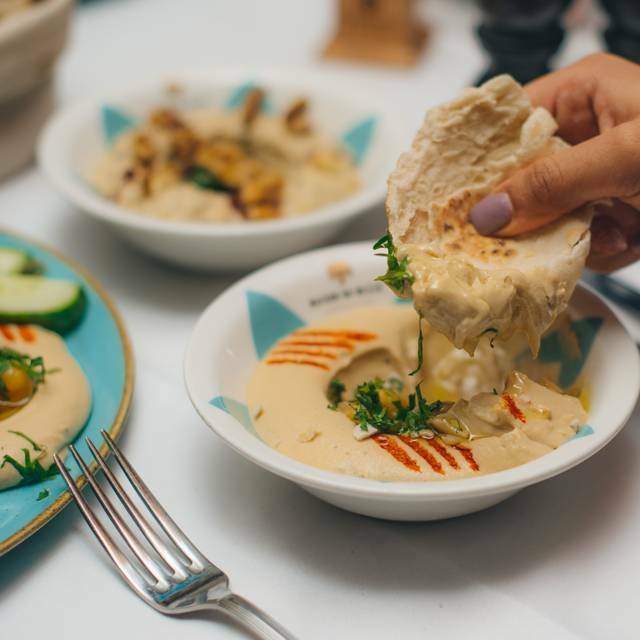 Maison du Mezzé is the Capital’s best Middle-East dining experience, offering authentic Lebanese-inspired brunch, lunch and dinner dishes with the warmest hospitality. 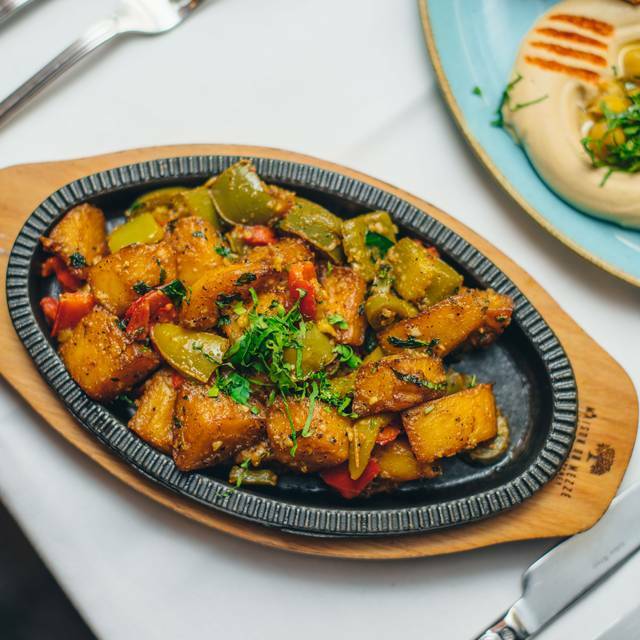 All dishes are freshly prepared daily in the restaurant kitchen using the finest seasonal produce and, of course, spices and herbs from our Middle East heartland. 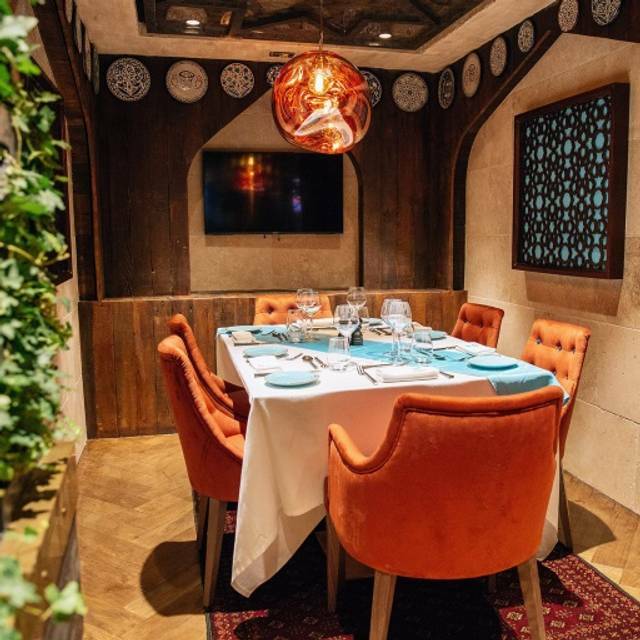 The interior is set over two floors and all part of the Middle-East experience with Arabian carpets and artwork, gilded ceiling and a mix of banquette and booth-style seating separated by ferns and trailing plants. The large covered outdoor terrace beckons in finer weather where you can also enjoy a Shisha in true Middle-East style. 3 course meal plus a glass of prosecco for £19.95. Subject to availability. Specific menu will be supplied. Not available in conjunction with other offers. Subject to availability. Specific menu will be supplied. Not available in conjunction with other offers. A choice of daily changing main dish, a glass of freshly squeezed orange juice and a hot tea or coffee for £6.95. Convenient location, attentive staff and great service, the staff was knowledgeable with the menu and gave us very good recommendations. Food was great, plentiful portion, a great big menu to choose from, with hot and cold food, even with a good size vegan menu. Fantastic. As me and my friend walked in, we were greeted with warmth, smiles and respect by staff. The staff were very kind and helped us choose a delicious meal. 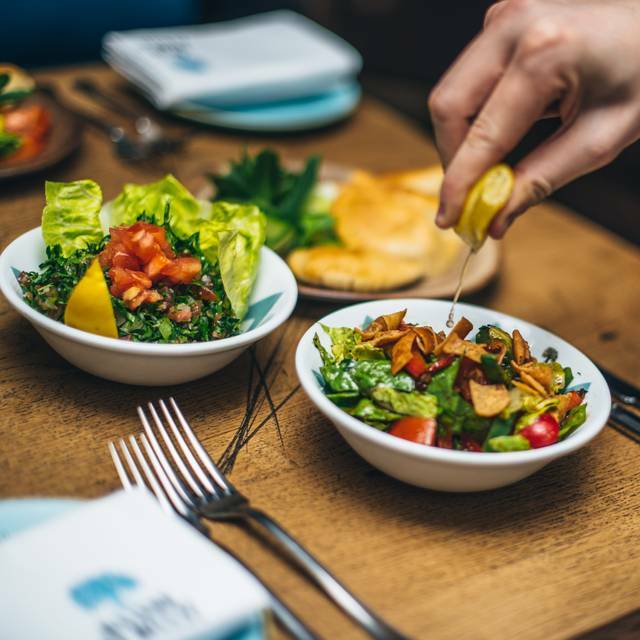 This was the first Lebanese food I had ever eaten and I can tell you that it was sensational- one of the best restaurants I have ever been to. 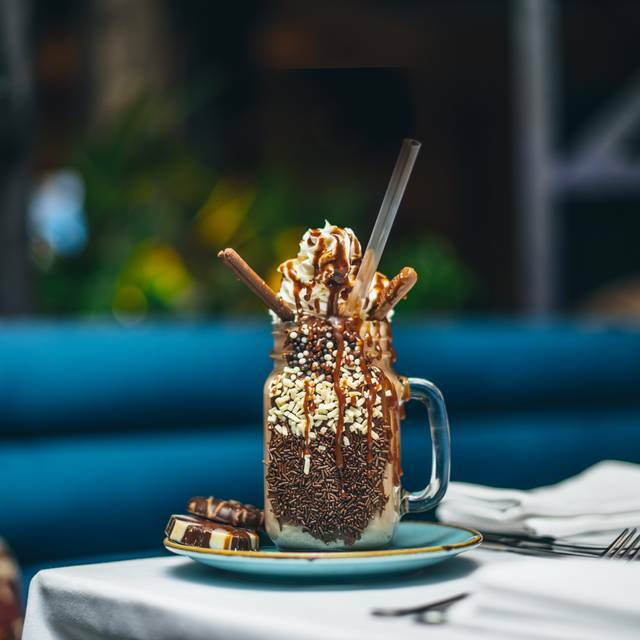 If you are looking for scrumptious food and amazing service, this restaurant is for you. I will definitely be back for part 2! What a gem in Leicester Square! Unlike the usual tourist traps in such locations, the food here was excellent. The falafels were the best I’ve ever had and the spicy fish in tomato sauce was simply delicious. Service was a bit clumsy and slow, but the food was so good, it was easy to forgive service. Absolutely recommend it and I will definitely go back again! Great for our group. Food was first rate and fun service. Perfect huge square table made for great conversation. Nice place, good service, OK if you like this type of cuisine. Ridiculously overpriced tourist trap. Food was ok, nothing amazing. Nice restaurant, felt a bit rushed, as lots of clearing up as you’re eating, but very nice and would recommend . 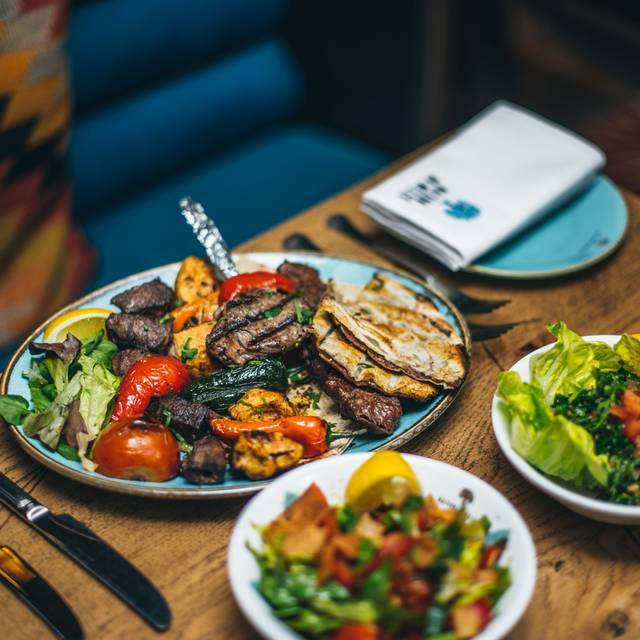 If you are considering a cosy, warm place to have dinner with your loved on or family/ friends and like Lebanese food, then you can consider this place. This restaurant was okay for Leicester Square, but a little touristy. Food was pretty good, but a little over-priced. 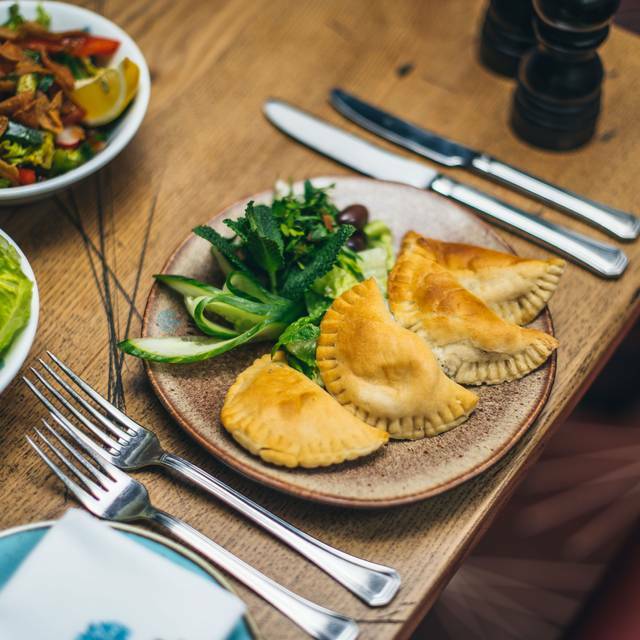 If you need a good place right at Leicester Square, I would recommend this restaurant, but otherwise, you're better off getting out the touristy area and finding something else. The food was ok but this is really just a kebab place and rather expensive. Great service, we we're welcomed like we were usuals there. Food was great, medium to big portions. Really good food and service. A bit of wait but a saturday night I guess it's normal, I was just too hungry and impatient. Absolutely horrendous service. Our server looked like he wanted to be anywhere but here - and he made it clear by avoiding our table and rolling his eyes multiple times. He was impatient in answered my questions, did not come to check on us for our food, and he never gave me the glass of prosecco I paid for (I had a voucher that included a glass of prosecco). £46 IS NOT worth. The food was flavorless, a bit tough and left a lot to be desired for. Silky hummus, heart shaped flatbreads and a good vegan selection. I was pleasantly surprised. Being a Londoner I usually avoid touristy areas and tend to choose restaurants off the main drags. I had my doubts as it is right Bang in Leicester Square. This place was reasonably priced, the food was good and the staff attentive and pleasant. I would definitely recommend it. The Lebanese wine was really good too which I ordered at the recommendation of Mario our waiter. Tasted very similar to a good dry french white. The pre theatre menu is really good with a free glass of Prosecco thrown in. Very good portions of food. Really good. Booked it and was a bit concerned to see it was on Leicester Square itself (and so might expect to cater for tourists whom they don't expect to see again). But quite the opposite. Excellent Lebanese food, good, friendly service and a good atmosphere. Will probably go again even if not seeing a show or film nearby! It may have been a one off but both of us were so hot from the minute we walked in, so much so that I lost my appetite! The staff were very attentive, almost too much for my liking - constantly coming over to top up water/wine but they were friendly. The food I would say was average, well cooked meat but all served with a limp salad. It is overpriced but I suppose it is in Leicester Square so that in itself bumps up the price. Our server Mario was exceptional. The food was delicious and good portions. Comfortable seating and great ambience. Will definitely go again. Service was friendly, efficient and the food very tasty. Jolly atmosphere. We will return. Food was great and atmosphere was good to. Restaurant is in a great location especially for pre theatre meal. Great, colourfull place with good food. If you look for something new, not boring in central location, with comfy environment and Turkish coffee at the end that's the place to be. Waiters (Chady, Manos, Agus) made us feeling so welcome and ajusted our food selection to made it perfect. It was 4 of us(down from oryginnaly booked 6pp)but no issues from waiters staff. We spend 4hours im very relax place, having great food, drinks, services and fun. Many veggie options and meat, mezze,dips. Hot doshes could be hotter but delicious.The service is so attentive!Someone at next table had birthday, the staff sing him with energii musisz, have seen many times in other restaurants, but this was much better!If you have bth approaching, this is a place to go. Nice place to be. Had a pre-theatre meal with my daughter this week. Hummus and Grilled halloumi for starters then a fish mixed grill for me and chicken mixed grill for my daughter. All of the food was nice, especially the hummus and the chicken mixed grill. Thought the fish mixed grill was overpriced for what it was. 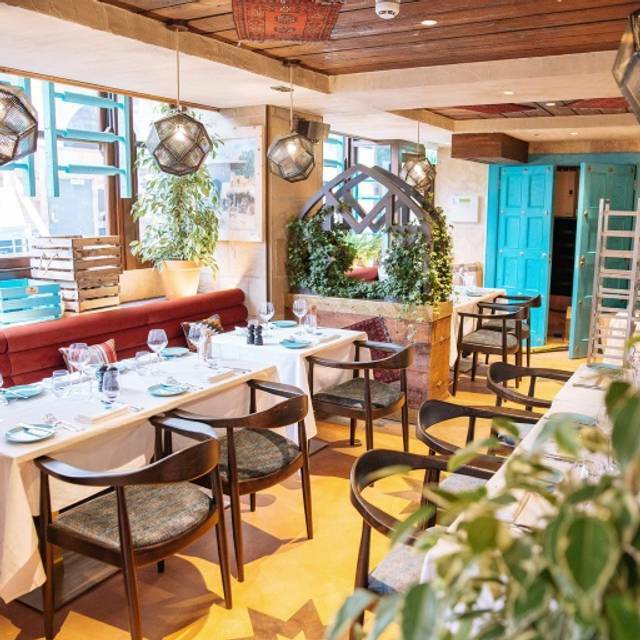 With a bottle of water, glass of wine for me and two cocktails for my daughter, the bill was £120 so not a cheap meal by any stretch but if you enjoy Lebanese food, it’s a nice place to eat with friendly attentive staff. 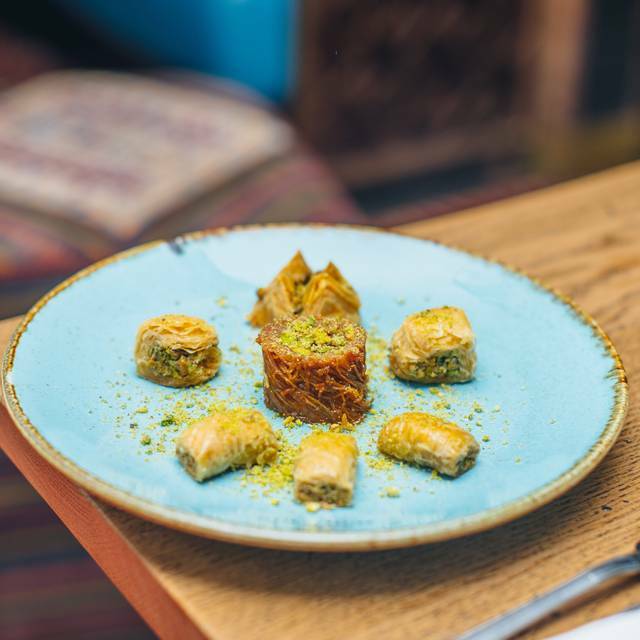 We were very well looked after by the waiters and the food was delicious, in particular the baklava was some of the best we've ever tasted! Although the service was lovely and the place was also lovely the food was just dry, specifically the meat. We bought a mixed grill plate and every meat on the plate was very dry as if it was old Md just reheated. Upon speaking to the waitress she spoke to the chef who said that’s how it’s supposed to be because it’s grilled, which is insulting to our intelligence as we know how to cook ourselves and (as we are from Arabic backgrounds) know that is not how meat should be regardless of cooking method. We did he an offer of 30% off in the end but we wouldn’t go back there again unfortunately as the food was a massive let down. Definitely not worth its £25 price for the plate. We took our grandchildren (5 and 7) and were made most welcome. They provided crayons and colouring menus. We ordered two starters, two mains and a salad. This was ample food for the 4 of us. It was served in an acceptable time and was hot and tasty. The mixed shawarma (sp?) was particularly good! The children enjoyed milkshakes too. We will definitely go back. We ordered the mixed grill which came out a bit burnt and very tough instead of juicy. The soujk and chicken wings were tasty. Great restaurant in heart of London, perfect service and the food are amazing. The staff are very kind and really attentive. The staff were lovely , the food was amazing and the restaurant itself is beautifil! Definately coming back. Very good quality of food. This was meant to be a Christmas lunch and it brought back familiar memories from the middle eastern food. Fantastic food and lovely atmosphere. We had not eaten Lebanese food before and the waiter was really helpful explaining the menu and selecting a great range of dishes for us to share. The food arrived promptly and was all very tasty, well presented and enough for the eight of us. I would highly recommend visiting.